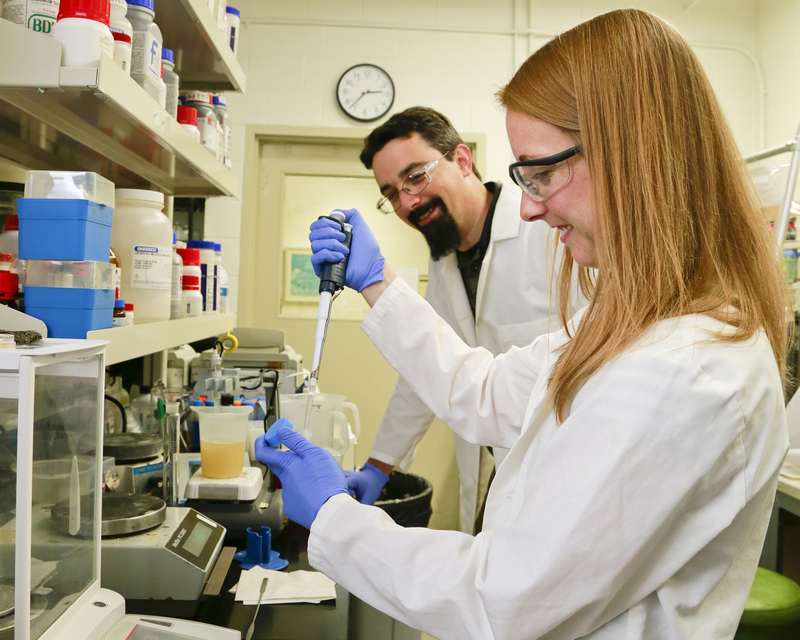 Another barrier to commercially viable biofuels has fallen with the engineering of a microbe that improves isobutanol yields by a factor of 10. As the US Department of Energy’s largest multi-program laboratory, ORNL is engaged in a wide range of activities that support the department’s mission of ensuring America’s security and prosperity by addressing its energy and environmental challenges. To accomplish this, the laboratory applies a remarkable portfolio of scientific expertise and world-class scientific facilities and equipment to develop scientific and technological solutions. ORNL focuses these resources on delivering scientific discoveries and new technologies that will address pressing challenges in the areas of clean energy and global security, as well as creating economic opportunity for the nation. The laboratory’s major initiatives reflect an orientation toward both scientific disciplines and national missions, a combination that distinguishes ORNL and enables us to deliver national-scale solutions to problems of critical importance. From the earliest days of Manhattan Project, ORNL has focused on translational science, where basic and applied research work together to facilitate and accelerate use-inspired fundamental science and science-driven technology development. Today, the nation’s economic future depends on a vibrant science and technology infrastructure that supports industries that can compete globally as they take discoveries from the laboratory to the marketplace. ORNL boasts state-of-the-art capabilities across a wide range of scientific and engineering disciplines, including materials science and engineering, computer and computational science, neutron scattering, neutron science and technology, biological and environmental research, nuclear physics and engineering, nuclear energy technologies, fusion science and technology, and energy efficiency and renewable energy (building technologies, advanced manufacturing, transportation technologies). Oak Ridge is also the place to be for scientists and engineers who want to be leaders in their disciplines while addressing challenging problems in a multidisciplinary environment. Our researchers work in laboratories with world-class, often unique, facilities including the Spallation Neutron Source, High Flux Isotope Reactor, Center for Nanophase Materials Sciences, Oak Ridge Leadership Computing Facility, National Transportation Research Center, Manufacturing Demonstration Facility, Buildings Technologies Research and Innovation Center, Center for Advanced Simulation of Light Water Reactors, and many more. Resources like these enable the US to compete in what former ORNL Director Alvin Weinberg called the arena of “Big Science” and they empower our researchers to pursue knowledge that’s fundamental to solving some of our world’s greatest challenges, from clean water to sustainable energy to nuclear security.